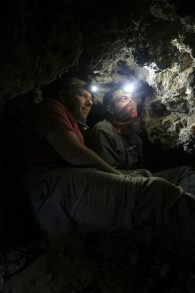 The 12th scroll cave, the first found in over 60 years, marks the initial success of Operation Scroll. 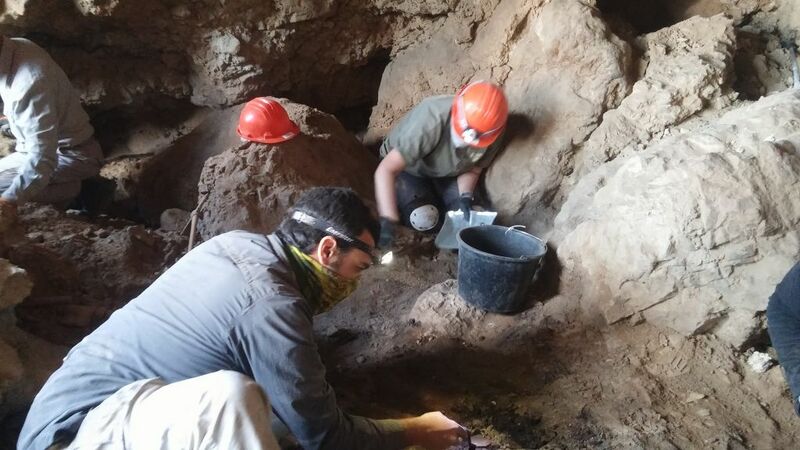 Ziad Abu Ganem and a student filter material from the cave. 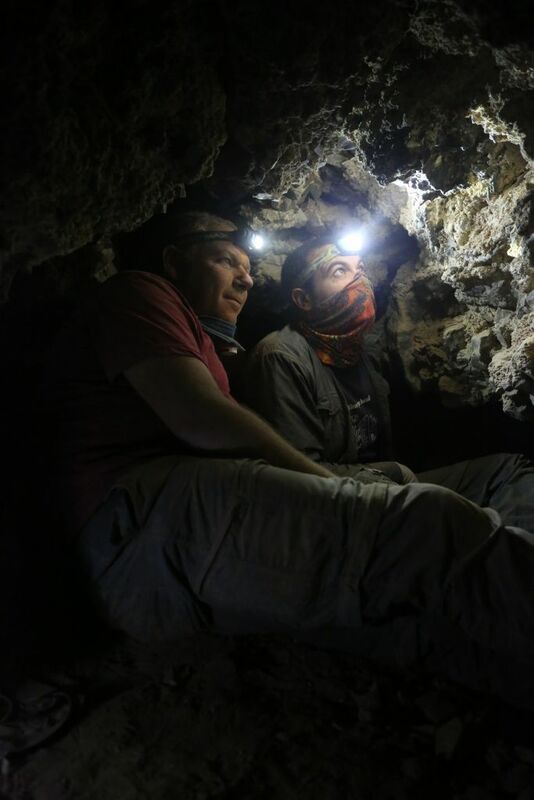 Hebrew University archaeologists working with Liberty University students have uncovered a new cave containing Dead Sea scrolls for the first time in more than 60 years. Hebrew University of Jerusalem announced the finding Wednesday, Feb. 8. 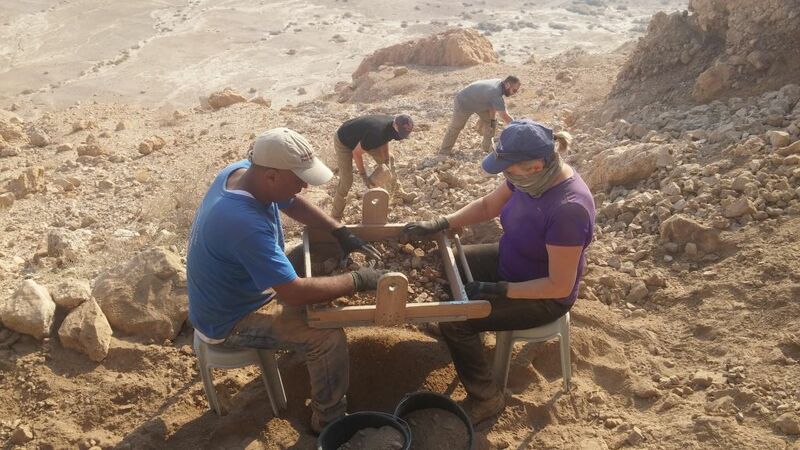 Oren Gutfeld and Ahiad Ovadia from the university’s Institute of Archaeology carried out the excavations Liberty’s Randall Price and his students from the Lynchburg, Va., campus. The cave on the cliffs west of Qumran, near the northwestern shore of the Dead Sea, held scrolls from the Second Temple period that were looted by Bedouin in the middle of the 20th century. 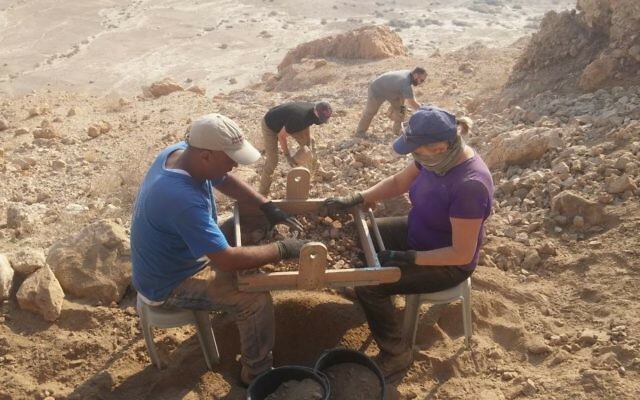 The excavation was supported by the Civil Administration of Judaea and Samaria, by the Israel Nature and Parks Authority, and the Israel Antiquities Authority and is a part of Operation Scroll, launched by IAA Director-General Israel Hasson to undertake systematic surveys and to excavate the caves in the Judean Desert. 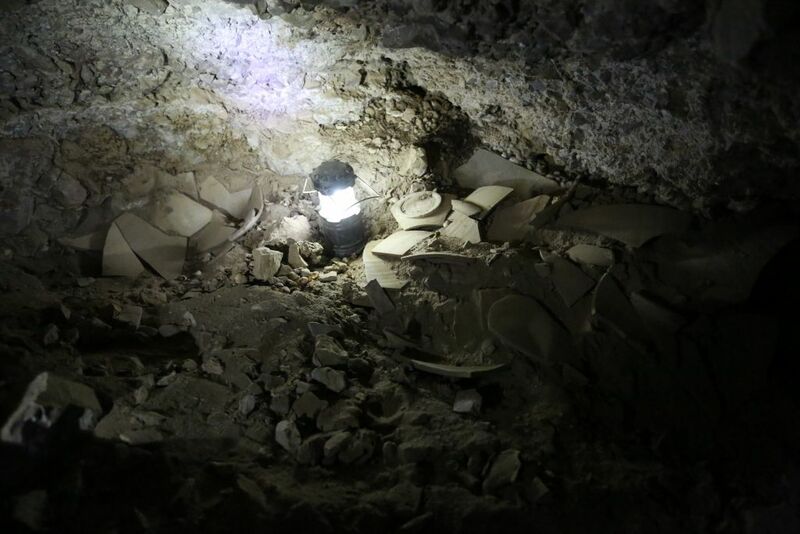 Numerous storage jars and lids from the Second Temple period were found hidden in niches along the walls of the cave and deep inside a long tunnel at its rear. 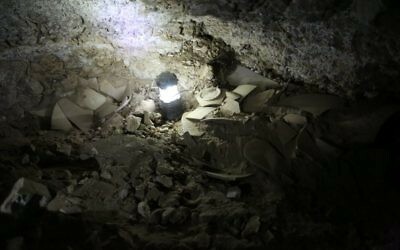 The jars were all broken and emptied, and the discovery of a pair of iron pickax heads from the 1950s (stored within the tunnel for later use) proves that the cave was looted. 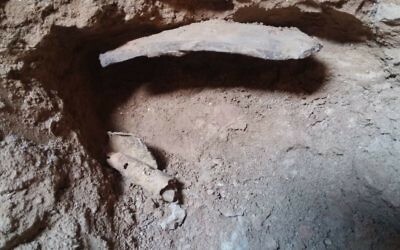 Scholars suggest that the site should be numbered Cave 12 among the scroll caves. 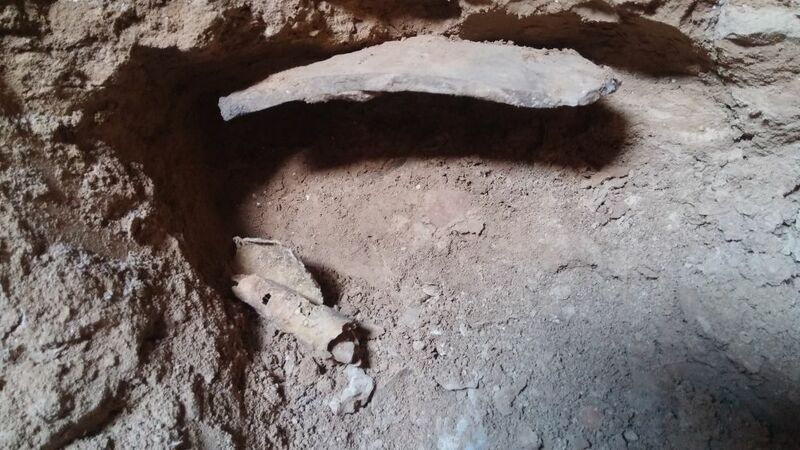 Like Cave 8, in which scroll jars but no scrolls were found, this cave will receive a Q designation, Q12 (the Q for Qumran in front of the number indicates no scrolls were found). 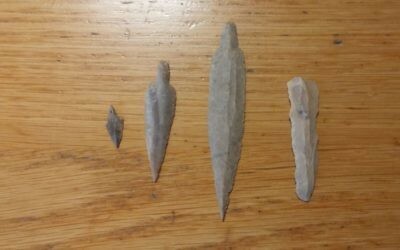 Those findings include jars, a leather strap for binding a scroll, a cloth that wrapped scrolls, and tendons and pieces of skin connecting fragments. 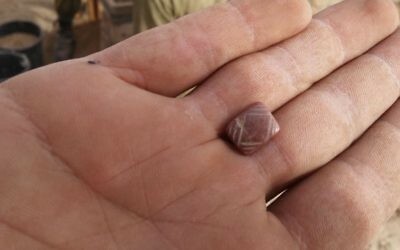 The discovery of pottery, flint blades, arrowheads, and a decorated stamp seal made of carnelian, a semiprecious stone, indicated that the cave also was used in the Chalcolithic and Neolithic periods. 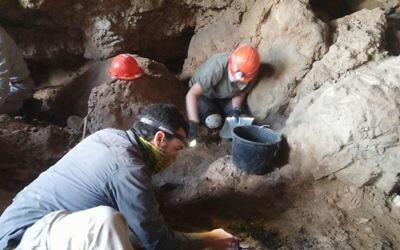 Hebrew University archaeologist Ahiad Ovadia digs in the cave. 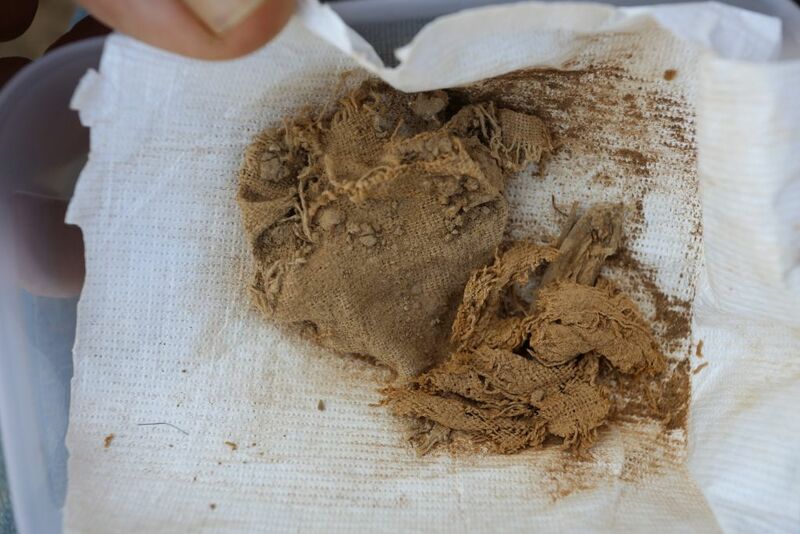 This cloth was used for wrapping scrolls. Jar fragments litter the cave floor. 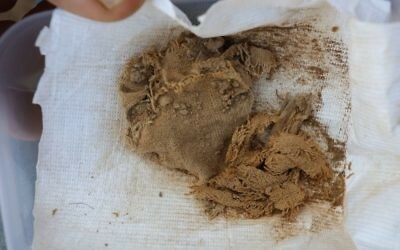 A small, unused piece of a scroll remains. 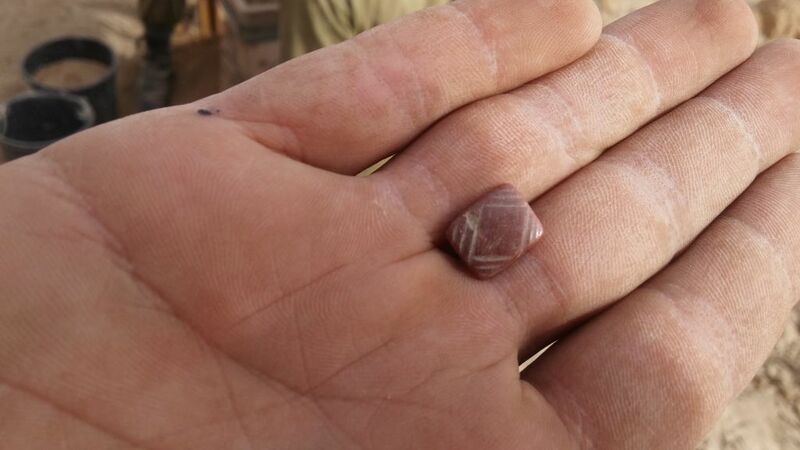 A seal made of semiprecious carnelian stone was found. 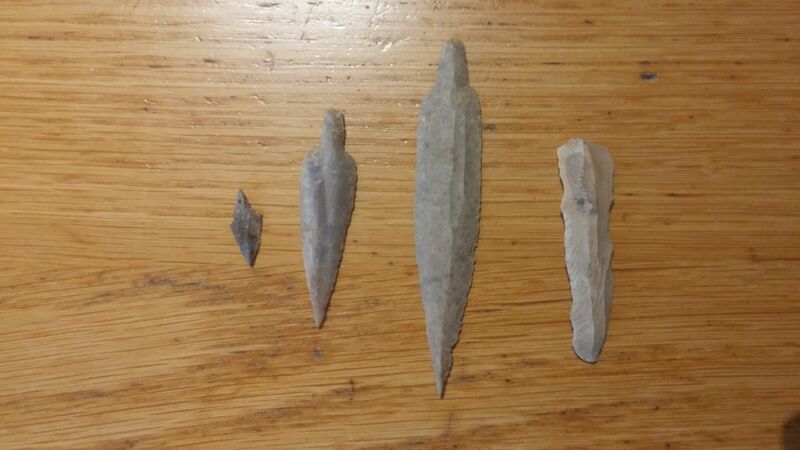 The cave also contained Neolithic flint tools.